John Constantine is making his triumphant return to the CW’s Arrowverse in Legends of Tomorrow’s third season. He’ll be part of a massive, two-episode crossover that’ll see the chain smoking demon hunter team up with the show’s group of time-traveling misfits. 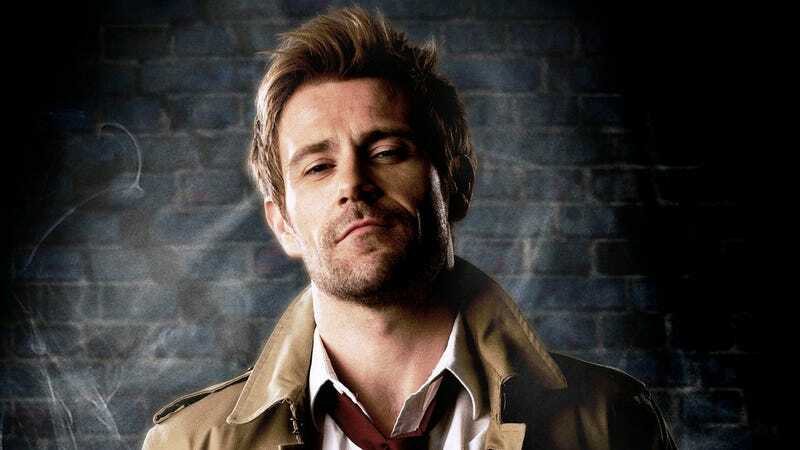 Fans of NBC’s cancelled Constantine series will be pleased to hear that actor Matt Ryan will reprise his role. And according to Legends executive producer Phil Klemmer, Constantine will finally acknowledge his canonical bisexuality for the first time on screen, a sharp pivot from the character’s previous depiction on NBC. Speaking to The Hollywood Reporter, Klemmer explained that this incarnation of the character will be the same man that we’ve already seen before, but this time around his personality will be much more in line with his comics self. NBC famously reimagined Constantine as a man who supposedly had a healthy heterosexual lifestyle and a fondness for smoking that was never actually shown on screen because NBC allegedly held the show back from going that far. It’ll be interesting to see how Legends of Tomorrow handles these parts of Constantine’s personality for network television when Constantine itself couldn’t. Legends of Tomorrow returns to the CW tonight.